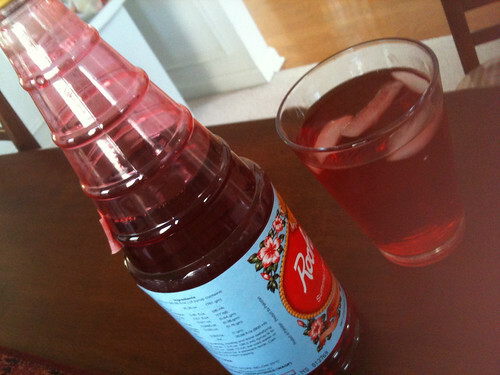 Rooh Afza is a sweet syrup made of rose juice. Add milk/water, thrown in some ice-cubes and gulp it down! I have seen another brand (possibly Dabur) that also contained cucumber juice extract among other juices. Need to see where I can get hold of that. Rita’s Ice has a branch close to our place. 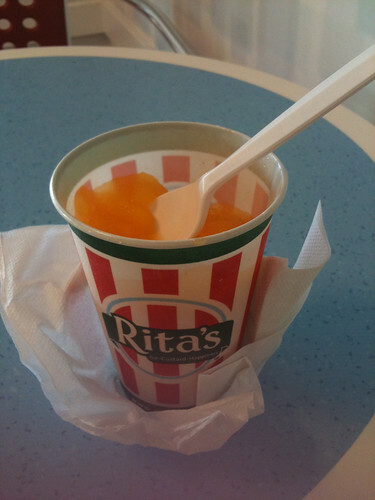 After a swim, it was a short walk away to indulge in Mango Italian Ice. Icy cold and delicious! Btw, if you are interested (I am! ), here’s a recipe from NPR’s Kitchen Window that combines Rooh Afza and a basic Italian Ice recipe. Read about the Soulful Granita here. Scroll to the bottom of the page.